"Thank you Brett for dropping off my dry cleaning!!! It was an unexpected surprise to answer my door with you standing there with my dry cleaning. I had gone in and my items weren't ready and just happen to be in the neighborhood. I didn't think anything of it and was planning to go back Monday. The next thing I know about an hour later my door bell rings! You have definitely made me a customer for life and that is what creating a member experience is all about!!! "My daughter bought a wedding dress from someone that while beautiful, had not been cleaned and was in need of some freshening and TLC. I took it to Donaldson's and they did an amazing job! The front desk woman was extremely helpful and reassuring that the dress would be ready in time and taken care of really well, and it was. I am very pleased with the results and recommend them highly. Professional, friendly, and dependable!" 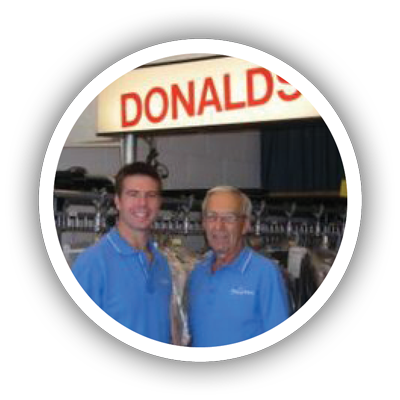 "Thank you to Donaldson's Cleaners for your top notch customer service! 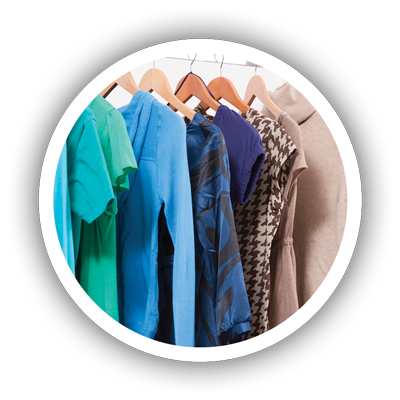 You listened and went above and beyond to ensure I was satisfied with the results of cleaning my draperies. 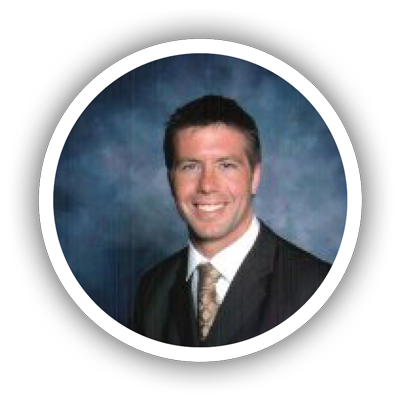 The staff was very friendly and passed on my concerns to Brett who resolved the issue very quickly." "Sometimes, with all the ugliness going on in the world, it's easy to forget that there are kind people, people willing to lend a hand to a stranger, people willing to make someone else's day a little easier and a little brighter. 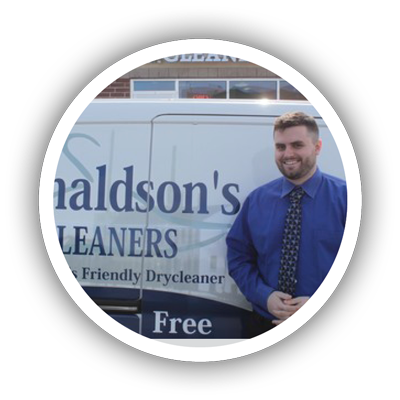 Here is my story: Recently, while I was struggling to get my lawn mower started, my dry cleaning from Donaldson's Cleaners was being delivered. I was hot, frustrated, and I'm not going to lie to you, a bit mad at the lawn mower. The delivery person saw my dilemma and offered to help. He spent the next hour and a half working on my lawn mower! His clean, perfectly pressed shirt was a bit worse for wear when he finally finished, and I'm sure it was full of grease and smelled like gas! While talking to him, he told me that Donaldson's was short of help that day and he didn't usually do deliveries. I was worried that he might get into trouble with his employer so I offered to call, and to tell his boss what a great employee Donaldson's Cleaners had. Needless to say, I was a bit embarrassed when he told me a call wouldn't be necessary, that he was the owner, but that any of employees would have done the same! Thank you Brett! Your parents raised an amazing person! You have a customer for life!!!" "I've been bringing my special clothing here for 15 years. Never disappointed. In fact, I liked it so much that I recently asked for a job. Got one! Great place to work." "I've been a customer of Donaldson's Cleaners since 2007 and I have always appreciated their prompt, high quality service. They definitely get my choice award!" "I had such a wonderful experience at Donaldson's! I called them on Saturday at 11:00 AM knowing that they close in a few hours for the weekend, but I was desperate to get a suit dry cleaned for an out of town funeral the next day. The owner was so kind. He offered to clean it and made it a priority. It only took about an hour. It had been a pretty crappy week, but Donaldson's sure made my week a little easier. I will be bringing all of my cleaning needs to them from now on." "I took my curtain panel in for dry cleaning from rain spot on my panel and although it did not lift the spot completely it was better but the panel had shrunk and Mr. Donaldson himself came over picked up the curtain for his seamstress and brought it back and hung it within a few days. Very good customer service." "I've been going to Donaldson 's cleaners for the past 15 years on Ballard Street in Appleton. They have far surpassed my expectations every time. 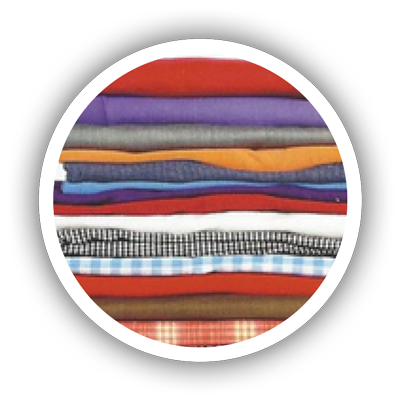 As far as I'm concerned there is no other Dry Cleaner in the Fox River Valley."